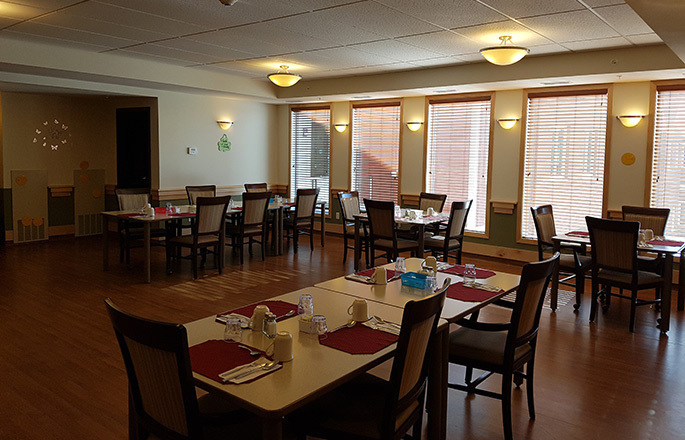 A premier Park Place care residence, Meadow Ridge Seniors Village offers residents access to the support services they require to maintain the active lifestyles you’re accustomed to. Meadow Ridge has 84 designated Assisted Living subsidized beds. For more information see our Subsidized Care Page. 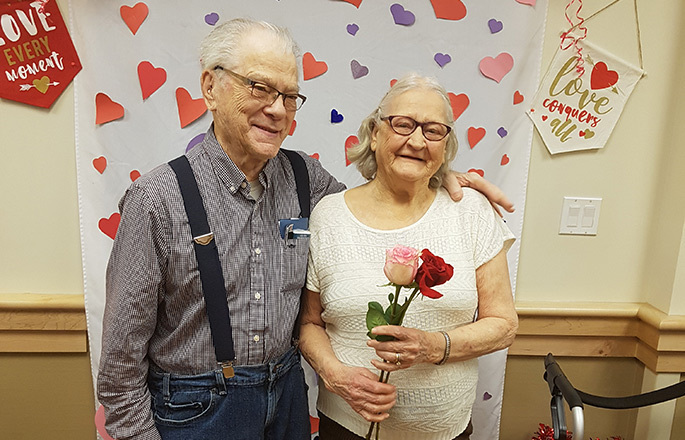 Seniors requiring Supportive Living services can rest easy knowing that we are here to support you as your changing needs require increased personal/private care. 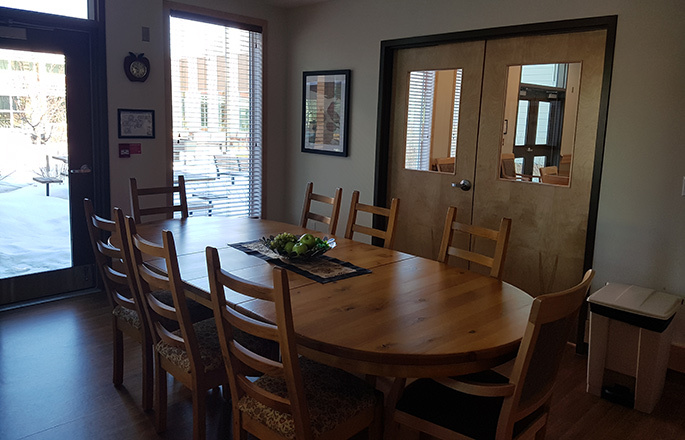 Residents of our Supportive Living suites are typically active seniors, who can live independently and make decisions on their own behalf but require a supportive environment and assistance with daily living due to physical or functional health challenges. Marie Reid, our resident Food & Beverage Manager leads our kitchen team as they prepare fresh, delicious and inspired meals that make dining at Meadow Ridge a delightful culinary experience. 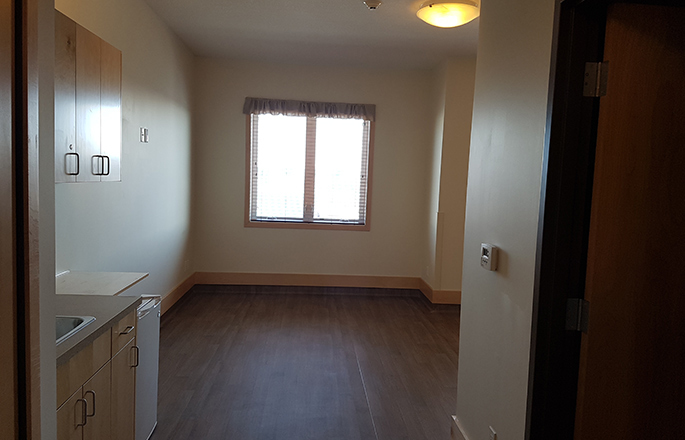 Residents are encouraged to dine and socialize in their respective cottage’s dining area. We are committed to ensuring you feel secure in your new home. For added security, each suite is equipped with an emergency alert system. A personal alert system is also worn by each resident, should you need to summon help. 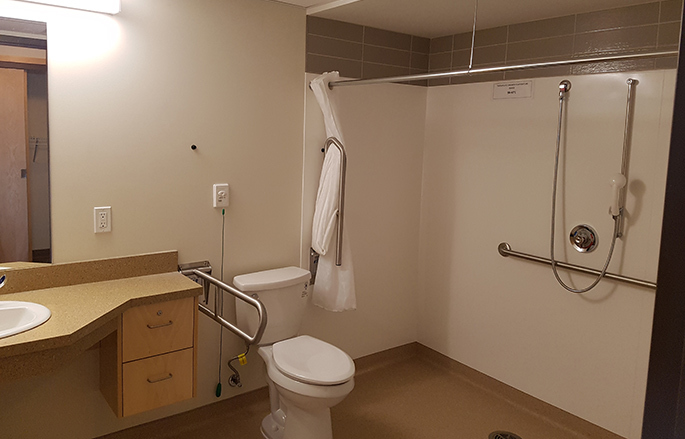 Our property and residence are wheelchair and walker accessible for residents requiring mobility aids. For those who may require a little extra help, support services are available. Meadow Ridge offers residents and their families access to services and amenities, both onsite and within the local to enhance your current lifestyle. Our residence provides our residents with a supportive community, access to amenities, hospitality and personal care services. 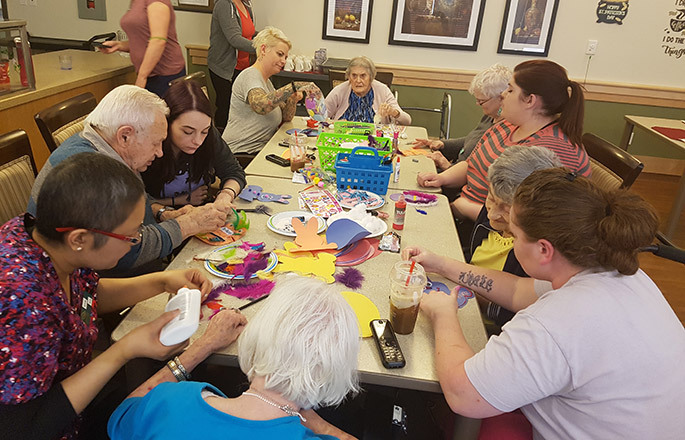 With a focus on creating a community and enhancing the lives of our residents, Meadow Ridge provides the opportunity for residents to participate in several organized activities and events throughout the year.